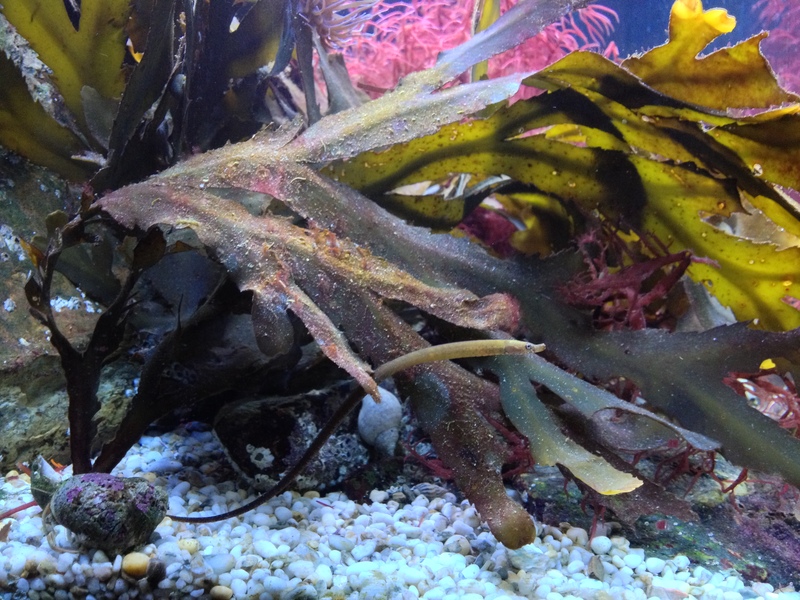 Time for the second post on the topic of seaweeds in the aquarium and I will write a part III as well. 4. What conditions are right for seaweeds? High nutrient levels could benefit some microalgae more than they benefit macroalgae (seaweeds) as is the case for plants in fresh water aquariums and could lead to problems. Another factor that must be very important is temperature. I do not have a chiller and my tank is around 25C (higher than room temperature because of the lighting). Seaweeds from rock pools must have not much problems tolerating this temperature for hours on end, but many might have a problem with it for months on end. I therefore will probably buy a chiller next year… One very interesting parameter that I have not yet seriously considered is CO2. CO2 can be a limiting factor in photosynthesis, that is why many fresh water aquarium keepers add it (in gas or liquid form) to promote plant growth. I found a very interesting article on the role of CO2 in reef aquariums by a very clever chemist named Randy Holmes-Farley. It could be that CO2 is limiting for seaweeds in my aquarium as well and I’ll definitely need to do some pH tests to find out whether this could be the case. The article lists a table with relative rates of photosynthesis at pH 8.7 compared to pH 8.1 for a number of seaweeds. This is 57% for my favorite seaweed Bushy rainbow wrack Cystoseira tamariscifolia. Very interesting stuff indeed and I shall investigate! 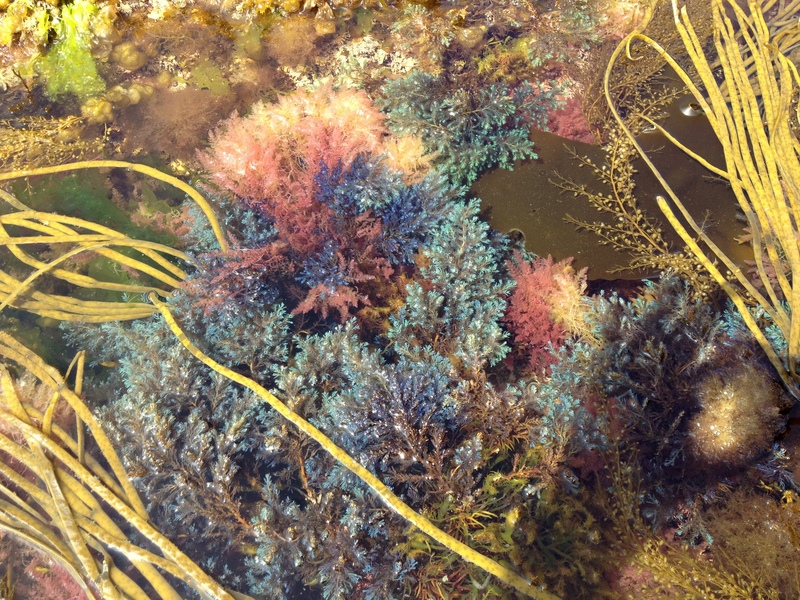 This entry was tagged Bushy rainbow wrack, CO2, Cystoseira tamariscifolia, Fucus serratus, lighting, planted aquarium, Randy Holmes-Farley, seaweeds, Serrated wrack, tunze nanostream. Bookmark the permalink. Interesting find about the CO2. Anything that gets the Bushy rainbow wrack growing and “glowing” is worth a try! Just fantastic looking seaweed!